Take your home to the next level with a bespoke staircase from Rawlings Joinery. Whether you are looking to replace your existing staircase or improve the access to your loft conversion, we have the solution. Thanks to our bespoke design and manufacture service, you can commission a staircase made to the specification of your property. The design will take into account your style preferences, the requirements of your house, and compliance with building regulations. 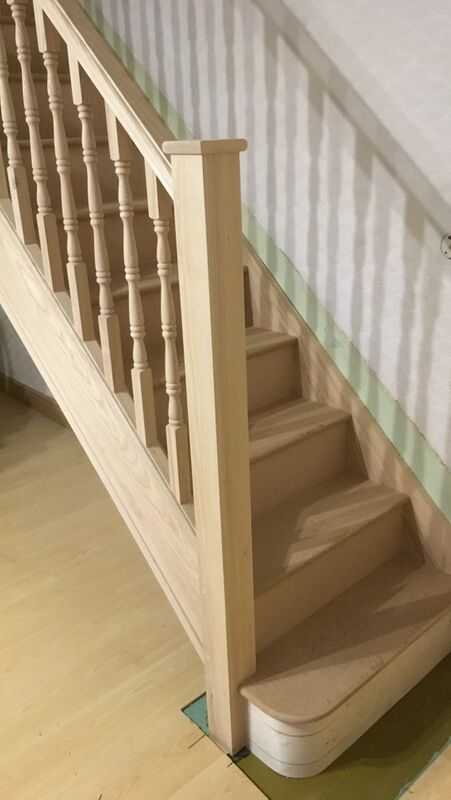 Alternatively, we can transform your old staircase into a modern or traditional centerpiece creating a fresh look without the disruption or upheaval of removing or replacing your old one. There is no better way to make a great first impression than having a delightful staircase standing before you when you enter a property. Custom-designed to fit uniquely into your home, your staircase will be made by our team of skilled craftsmen. Their aim is to exceed your expectations at every stage of the project, from planning and design through to supply and installation. By choosing our bespoke design and manufacture service, you can rest assured that your staircase delivers the aesthetic improvement you have been looking for. 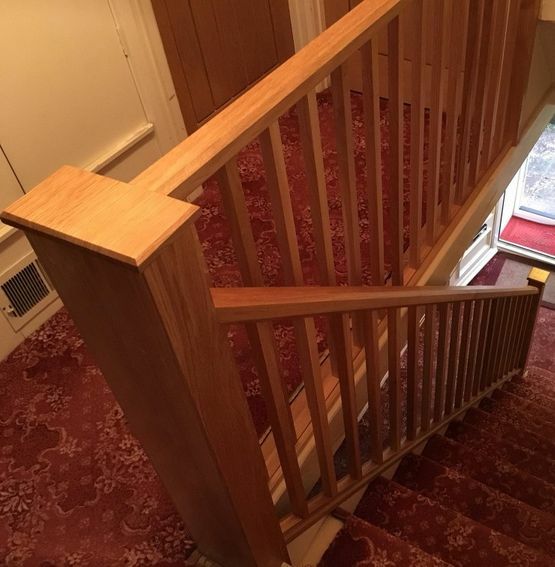 Over the years, our joiners have built every type of staircase, from curved to straight, and dealt with all types of size and configuration requirements. What’s more, we have also used almost every type of material, including woods such as oak, cherry, ash, beech, and walnut, as well as glass balustrades. The potential of your staircase often goes unnoticed. Many people don’t understand just how much a fresh staircase can enhance a home. Using their extensive skills and experience, the team at Rawlings Joinery will give your house a new lease of life. Contact us now to learn how our bespoke staircases and stair cladding will revitalise your property.